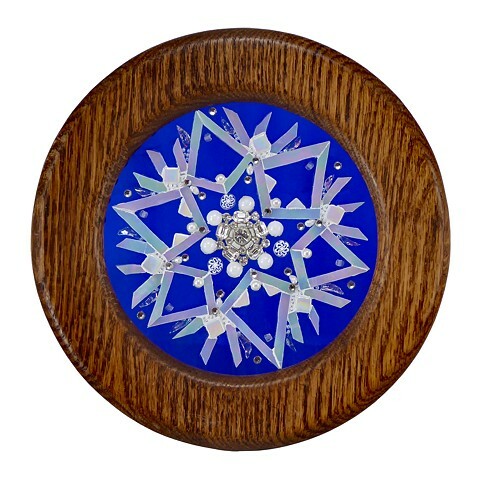 This piece can be hung on the wall or in a window as it is glass on glass. Lauri Muhonen lives in Lakewood, Colorado where she knows a thing or two about snow. She’s a member of Colorado Mosaic Artists and the Society of American Mosaic Artists.